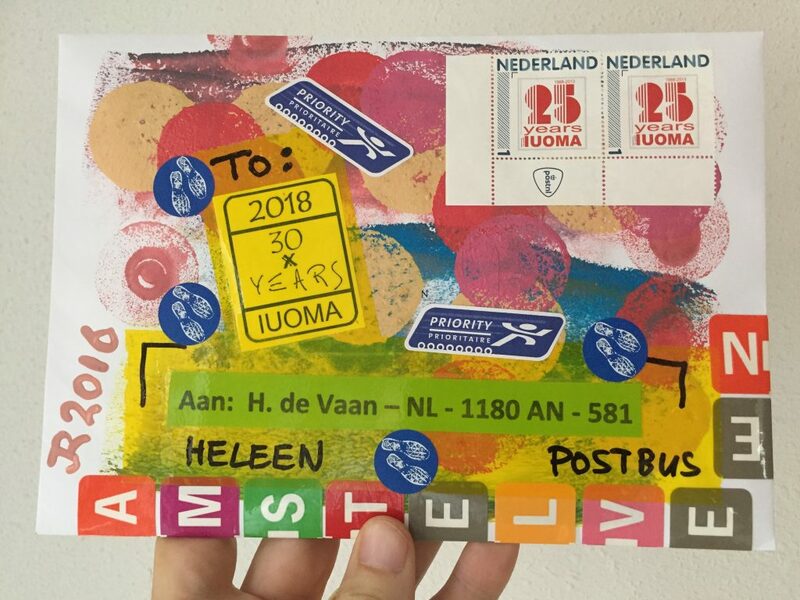 Mail to Heleen de Vaan – Netherlands – iuoma.org – Interested in Mail-Art? Outgoing enveloppe to Heleen de Vaan in Amstelveen, Netherlands. The photo above shows how the backside looks. 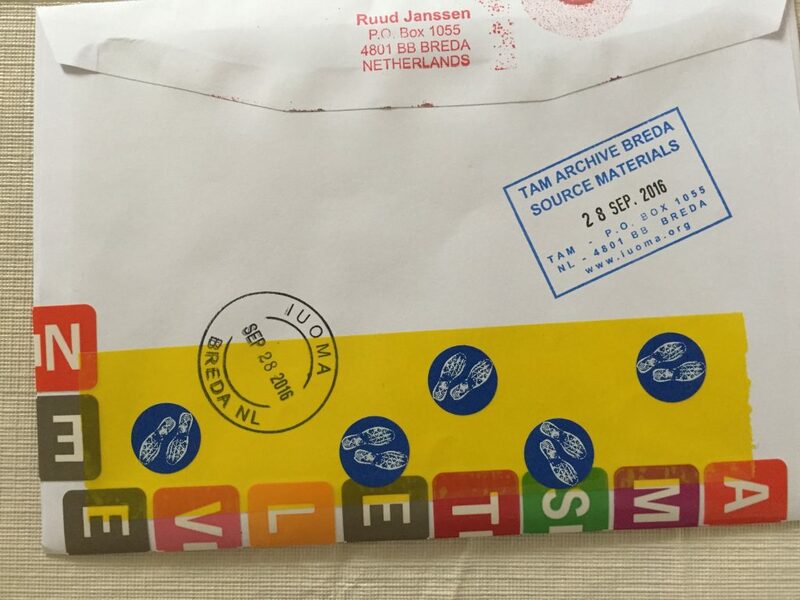 The stickers indicate the city the enveloppe is supposed to go to. On the other side only the zipcode is mentioned, so that should work. With Mail-Art you should involve a little play for the postal workers too. In the Netherlands they mostly seem to like it. It also ‘breaks’ the day with all those standard enveloppes they have to deal with. This is the front side of the envelope. Heleen designed a first logo for IUOMA in 2018, when it will be 30 years old. I thought it would be funny to use the older postage stamps of the 25 years celebration (designed by Litsa Spathi) on the envelope for real postage. That makes it a collectors item for sure. The logo itself is somehow related to the Fluxus logo’s. Also a good idea, since the whole IUOMA is actually the result of a succesfull Fluxus Word play that brought this word, that is now living its own life. Hope the envelope arrives safe. It is going out today in the last september days.